OBSERVATION indicates that many astrological practitioners follow no definite system in delineating a horoscope. Like beginners usually do, they have a tendency to wander aimlessly from one indication in the chart to the next that happens to strike their fancy. 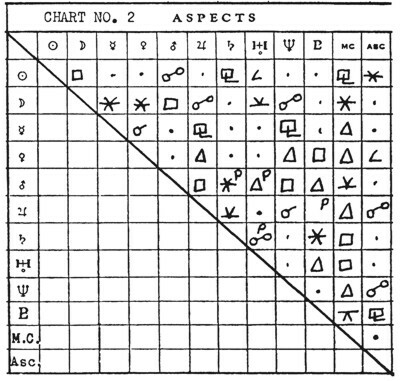 A study of such delineations, and the opportunity to witness the result of such lack of method among students who visit our classes, has convinced us that any astrologer will find it a distinct gain in precision, and in the amount of detail he can extract from a chart, if he will adopt some regular order of sequence in which to consider the various factors that enter into a delineation. The system here presented is the result of many years of teaching astrological delineating in classes. The beginner will find that following some such system will greatly shorten his period of apprenticeship and hasten the day when he becomes a master craftsman. There, no doubt, may be other good systems that may be followed. The one here presented is equally applicable to any chart—Horary, Mundane, Natal, Diagnosis, or Weather Predicting. It is presented as the system we have found in our class work to give the best results when used either by beginners or by astrologers of long years standing. Before taking up these first seven steps in judging any horoscope it should be explained how a table of planetary distribution is made, how all the aspects in a chart may be ascertained, the significance of planets being in certain sections of the chart, and the significance of their being fast, slow, stationary, or retrograde in motion; as each of these things has a very definite meaning. When the student becomes proficient the planetary distribution will be noted at a glance and tabulated mentally. But the beginner would do well to make a table of distribution (page ), in which is shown how many planets are in each zodiacal quality, how many are in each zodiacal triplicity, how many are in angular, succedent and cadent houses, and how many are above the horizon. In this tabulation the Ascendant and the Midheaven should be considered as if they were planets. He should also make a table of all the aspects in the chart, such as that given above the table on page . When he becomes more proficient in noting aspects, he will be able to discern at a glance all the aspects of any particular planets. In our advanced classes, we do not consult a table of aspects, unless we are calculating the astrodynes, discordynes or harmodynes of a chart, as the student is expected to see at once all the aspects a planet makes. In making such a table, as in judging the figure, better results follow the use of a definite system. Therefore, in calculating the aspects in example chart No. 2 (frontispiece), let us commence with the Sun. As it is in Aries 22°, we look for conjunctions, squares and oppositions by referring to the Movable Cross. 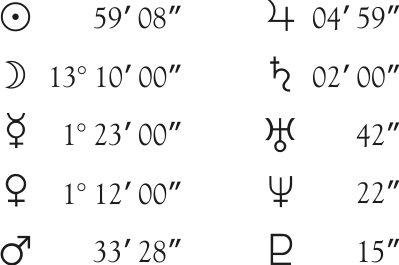 Venus is in a movable sign, but not within the 13° orb given the Sun’s conjunction in succedent houses. Mars is not in a movable sign, but Scorpio 4°, which is but 12° from Libra 72°, the place of the Sun’s opposition. It is thus within orb, and exerts slightly the influence of the Opposition. The Moon is in Aquarius 1°, which is within 9° of Capricorn 22°, the place of the Sun’s square. It thus slightly exerts the influence of the Square. Next we look for trines by noting planets in the same Triplicity. Our table of distribution shows there are 5 planets in fiery signs. Venus in a fiery sign, as ready noted, makes no aspect to the Sun. Jupiter and Neptune lack 14° of being the same degree as the Sun, and as the Sun’s orb for the trine from succedent houses is but 10°, they are not within orb. Trine aspects sometimes grade into sesquisquare aspects quickly, and where the aspect is from the Sun in an angle the orb of the trine overlaps the usual orb given for the sesquisquare. In all such instances the more powerful aspect operates to the full extent of its orb, and therefore should be given preference by narrowing the orb of the weaker. To find the sextiles we look two signs removed either way. There is nothing in Gemini, but the Asc. is 15° Aquarius, hardly making the sextile to the Sun or the orb is 7° and this relation is a few minutes less than 7°. The semisextiles we look for in adjacent signs. There is nothing in Taurus, and Mercury in Pisces is just beyond the 3° limit of the Sun’s orb for this aspect in succedent houses. For the inconjunct we look 5 signs distant. Saturn is in Virgo, but the orb is too great. Next to find the semisquares and sesquisquares we add 15° to the place of the Sun, giving us 7°. Looking about the chart we discover that Uranus, Jupiter, Neptune and Saturn are all near this degree. Uranus is a sign and a half, and has the influence of the Semisquare. Neptune and Jupiter are three signs and a half and thus in no important aspect to the Sun. But Saturn is four signs and a half, and consequently exerts the influence of the Sesquisquare, as does also the M.C. The Sun’s declination is 8° 38´, and as no other planet has approximately this declination the Sun has no Parallel. Now taking up the aspects to the Moon, as its aspect to the Sun has already been recorded, we proceed to the other planets. The orb for oppositions in cadent houses is 11°. Neptune and Jupiter are in the opposite arm of the fixed cross, and exert the influence of the Opposition. Mars is in another arm of the fixed cross and exerts the influence of the Square. Trines there are none, but Venus in Aries and the M. C. in Sagittarius are near the same degree two signs removed. They therefore exert influence of the Sextile. Mercury also, in Pisces 25°, is within orb of the Sextile. Uranus is near the same degree in the adjacent sign, and exerts the influence of the Semisextile. Saturn in an angle has an orb of 3° for the inconjunct, and thus forms no aspect to the Moon. Neither are there semisquares, sesquisquares nor parallels. As possible aspects of Mercury to Sun and Moon have already been considered, we next consider its relations to the other planets. It is well within the orb of the Conjunction with Venus. It makes no oppositions, but is Trine M. C. Nor does it make any squares or inconjuncts. It is, however, Sesquisquare both Jupiter and Neptune. Venus makes no oppositions. Its possible aspects to Sun, Moon and Mercury have already been considered. It is also Trine Jupiter, Neptune and M. C., Square Pluto, and Semisquare Asc. In like manner we proceed in their proper order of sequence to find the aspects of the other planets, the Asc. and M. C., and tabulate them as shown on Sample Student Chart Blank Aspect Grid. Planets, including the Asc., sometimes move faster than their average motion and are then called Fast. They also sometimes move slower than their average motion and are then called Slow. In a table of houses the M. C. is usually tabulated for every degree. A glance at a table of houses when erecting a chart will indicate if the Asc. is moving faster than the M. C., for if the interval between the two consecutive Ascendants is greater than one degree it is Fast in motion, but if the interval between two consecutive Ascendants for the latitude given is less than one degree the Ascendant is Slow in motion. Table VIII (page ) gives the approximate average daily motion for all the planets, and as the daily motion of each is always computed in erecting a chart, it takes but a moment to determine if a planet is fast or slow, and to what extent. A planet Fast in Motion brings the capabilities, opportunities, qualities and events signified by the planet into manifestation at a comparatively early date. On the other hand, a planet Slow in Motion retards the development of the qualities and possibilities shown by it, and delays the events it indicates. The Ascendant rules the personality, and the Mid Heaven rules that part of the environment conducing to honor, responsibility to society, and business advancement. We find, consequently, that when the Ascendant is slower than the M. C. that the personality fails to develop fast enough to take advantage of all the possibilities for progress that are presented. The environment makes demands faster than the personal qualities unfold that enable these responsibilities to be handled in the most effective manner. But when the Ascendant is faster than the M. C., we find that the personality develops rapidly enough to more than keep abreast of opportunities. The full force of the personality expresses itself Early in life if the Asc. is Fast, but Late in life if the Asc. is Slow. Due to the relative motion of the earth there are times when certain planets apparently move backward through the zodiac. When so moving a planet is called Retrograde. It is then marked in the ephemeris where it appears with an R at the head of its column. The qualities, abilities and events signified by a retrograde planet are all present as if the planet were direct in motion, except that they are repressed or hindered, and thus have the utmost difficulty in expressing themselves. In natal astrology a retrograde planet indicates that there is a repression of the nature of the planet and the department of life that it rules through which the feelings and desire for action are dammed up within. In the sense that there is an impediment to adequate expression a retrograde planet is an affliction. But in a natal chart it is an affliction that can be relieved. The affliction is not due to such discords as are indicated by aspects. It is due to the attitude of the unconscious mind toward certain conditions that arise in the life. Certain thoughts and emotions that should normally find expression, through being linked up with early painful emotions, or with various taboos, are kept in the background along with the emotions and taboos with which they accidentally have been associated. Thus the whole personality is often sadly warped. But it need not remain so, for with the release of the repressions it quickly becomes normal. These matters are fully explained in Courses V, Esoteric Psychology, and IX, Mental Alchemy. A retrograde planet signifies a Repression. 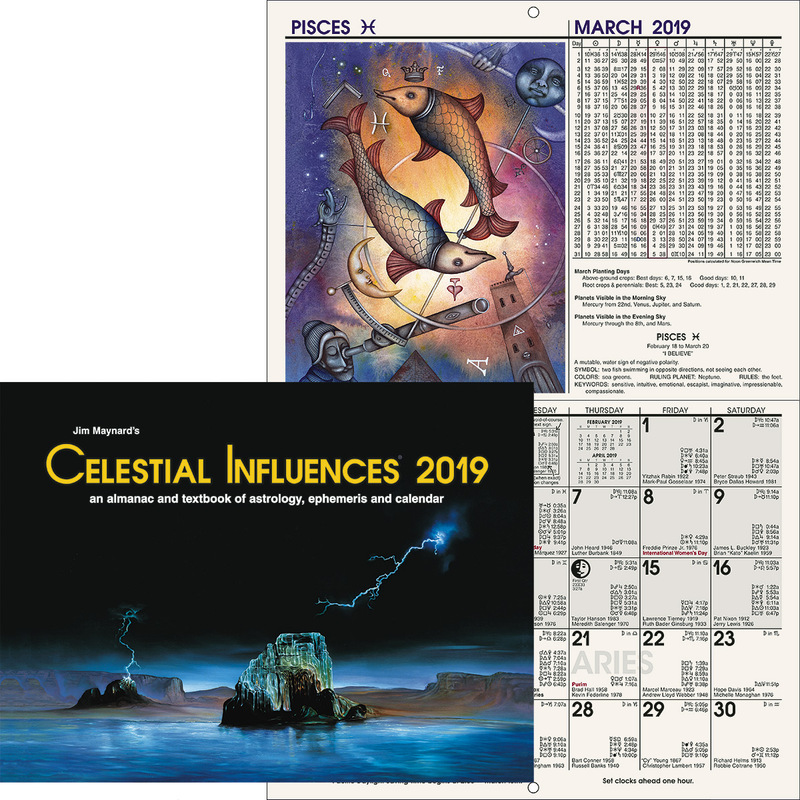 When a planet direct in motion turns retrograde, or a planet retrograde turns direct in motion, there may be an interval of several days in which the planet appears to have no zodiacal motion. It is then called a Stationary planet. The change from retrograde to direct motion is marked in the ephemeris by the letter D in the column occupied by the planet. If a planet is stationary this will be seen when calculating its place, and should be noted in the chart by placing the abbreviation Sta. after the planet. Such a stationary planet indicates that the things it signifies have great permanence, stability and endurance. They may be altered only by extraordinary effort, or by unusual conditions. Qualities and abilities so indicated are unyielding and persistent. Whether for good or evil, that which is ruled by a stationary planet is Enduring. The term elevation is used to signify how high or low in the chart a planet is situated. The highest point in the chart is the M. C. The lowest point is the Nadir. A planet above the earth—in the six upper houses of the chart—expresses itself in such a manner that it is noticed by others, and gets ample credit or discredit, as the case may be. Planets below the earth give just as much ability but do not express their qualities in a manner that draws public attention to them. The higher, or more elevated, a planet is in the chart the easier it is to give full publicity to the affairs signified by it. Likewise, the lower, or less elevated, a planet is in the chart the greater the difficulty in drawing public notice to the things so signified. People born with many planets above the earth are always given ample credit for whatever abilities are signified by these planets. People born with many planets below the earth are seldom given credit for the abilities they possess because the qualities denoted by the hidden planets—those below the horizon—do not manifest in a manner to be recognized by people in general. Thus the most elevated planets in the chart are always important in that they signify the qualities that receive full public recognition. Elevation means Publicity. Life itself constitutes the interaction between an organism and its environment. Through this interaction either organism or the environment, or still more commonly both, are modified. But some organisms instead of being merely molded by environment, exert a power that modifies markedly the environment. Some men, for instance, shape their surroundings to their own needs, while others, perhaps equally successful are formed and shaped and directed almost entirely by the various conditions by which they find themselves surrounded. Those who have many planets on the east side of the chart impress environment with their personalities and powers. That is, the virility of a planet to impress the qualities it rules upon environment is pronounced when the planet is on the east side of the chart. Therefore, a planet in house X, XI, XII, I, II, or III tends to Mold Circumstances. On the other hand those who have many planets on the west side of the chart are more influenced in life’s course by the action of people and by their surroundings. The virility of a planet to impress the qualities it rules upon environment is not pronounced when the planet is on the west side of the chart. Therefore, a planet in house IV, V, VI, VII, VIII, or IX tends to be Molded by Circumstances. It should be clearly recognized that causes of events and conditions result from the hereditary equipment as mapped by the birth chart plus the conditioning energy received from reactions to environmental conditions since birth. The planets are not responsible for the events and conditions attracted. It is easier for a child to be born when the streams of astral energy from the planets are such, as indicated by their positions in the sky, that they flow through—rather than crosswise of—the stellar cells and stellar structures of the child’s astral body. The child is born when the astral currents of his environment, as shown by the birth chart, correspond as closely as practicable, to the thought compounds and thought structures of his astral body. Each of the ten planets in the birth chart maps the chief structure in the astral body of one family of thought elements. The aspects between the planets reveal which thought elements have entered into combination, one with the other, in the formation of compounds, and how these compounds have been formed. The prominence of a planet in the birth chart shows the amount of desire energy possessed by the thought cells and thought structures it maps. And the amount of desire energy thus shown indicates how much work, both three-dimensional and four-dimensional, the thought group is capable of, and consequently how important will be the events which it brings into the life. The events themselves, to the extent they are noticeably either more fortunate or less fortunate than the normal trend of the life, are attracted only at such times as the thought cells relating to the department of life affected receive new energy. This new energy gives the stellar cells thus involved additional power to work from the four-dimensional plane, to stimulate objective thoughts of a similar nature, and to influence the physical conduct. The more common sources of such additional energy supplies are mapped by the progressed aspects of the planets. Planetary energy picked up, radio fashion, by the aerial developed across the astral body when a progressed aspect is formed, is made available for the use of the thought cells and stellar structures at the terminals of the aerial. But the event is not attracted by the new supply of planetary energy thus made available; it is attracted by the thought activities then stimulated. The stellar cells work with such intelligence as they possess, and with the energy supply thus made available, to bring events of a certain nature into the life. A detailed explanation of thought cells and their activity will be found in Courses V, Esoteric Psychology, and IX, Mental Alchemy. The First Step in Judging Any Horoscope is to note the Power of the figure by consulting the planetary distribution among the houses. If many of the planets are in angles it is a powerful figure and noteworthy things may be expected of it. If many of the planets are in cadent houses and none are in angles it is a feeble chart and will exert no great influence in any direction. If many planets are in succedent houses it is of average power, as is the case if the planets are rather evenly distributed among angular, cadent and succedent houses. Any planet found in an angle will exert a power sufficient to make it a very important factor in the delineation. Thus in the chart on the frontispiece there are four planets in angles, making of it a very powerful chart. Three planets are in succedent houses and three are in cadent houses. In any chart the first thing should be to determine the amount of energy present. Nothing is accomplished without energy. In this chart four out of the ten streams of energy come through those houses where they exert maximum volume. Power depends upon Volume. The Second Step in Judging Any Horoscope should be to note the Quality of influence manifested by the signs the planets are in by consulting the planetary distribution among movable, fixed and mutable signs. Many planets in movable signs indicate great activity and a pioneer spirit. Many planets in mutable signs indicate power of adaptation to whatever environment is present. Many planets in fixed signs indicate determination, rigidity and attention to detail. In noting the distribution of the planets among the Qualities the Ascendant and M.C. should be considered as if they were planets. Thus in the chart on the frontispiece the fixed quality preponderates. Five of the twelve influences are in fixed signs, four are in mutable signs and three are in movable signs. Therefore, this chart indicates a rigid determination not to be swerved from any plan that has once been formed. Quality determines Adaptability. The Third Step in Judging Any Horoscope should be to note the Triplicity of influence manifested by the signs the planets are in. This is done by consulting the planetary distribution among Fire, Air, Water and Earth signs. Many planets in fiery signs indicate much zeal and enthusiasm. Many plants in airy signs indicate intellectuality and vacillation. Many planets in watery signs indicate sympathy, emotion and receptivity. Many planets in earthy signs indicate practicality. In determining the distribution of the planets among the elements the Asc. and M.C. should be considered as if they were planets. Thus in the chart on the frontispiece, there are five planets in fiery signs, indicating initiative, enthusiasm and aggressive energy. Two planets in air and four planets in water show there is both thought and feeling. There being but a single planet in an earthy sign reveals that practical and material methods receive subordinate consideration. Triplicity reveals Temperament. The Fourth Step in Judging Any Horoscope should be to note the departments of life accentuated by the planets. This is accomplished by observing the Society, the Trinity, and the more restricted field of Expression of each mansion, denoted by the houses in which the planets are found. The stream of energy radiated by a planet largely reaches the earth through the particular house it occupies. Very much less of its energy reaches the earth through the sympathetic vibration of the sign it rules but does not occupy, and thus through any house it actually is not in. To state the matter more clearly, the amount of energy converted into any particular department of life is determined by the number and power of the planets occupying the house of the horoscope ruling that department of life. Houses of the horoscope not occupied by planets are therefore much less important. They but transmit the lesser energy derived from the sympathetic relation of the sign on a house cusp to a planet. Because of the total of life’s energies so large a portion flows through a house occupied by numerous planets, such a house represents a department of life of unusual significance. In fact the more numerous the planets in a house, the more significant does that department of life become. Numerous planets in a house make their department of life Important. 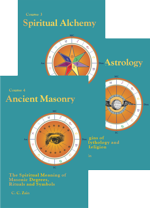 In Chapter 3 (Serial Lesson 47), Course II, Astrological Signatures, the four Trinities, the three Societies, and the Department of Life governed by each house are explained in detail. If many planets are found in Personal houses it signifies that much of life’s total energy is diverted to personal concerns. If many planets are found in Companionship houses it denotes that much of life’s total energy is absorbed in contact with others. If many planets are found in Public houses it indicates that much of life’s total energy is expended in activities that come before the notice of the public. Thus in the chart on the frontispiece there are five planets in personal houses, indicating that a major part of the energies of life is directed to personal affairs. If many of the planets are in the trinity of Life, the chief interest is in living. If many of the planets are in the trinity of Wealth, the chief interest is of a business nature. If many of the planets are in the Trinity of Association, the chief interest is the relation to others. If many planets are in the trinity of Psychic Influence, the chief interest is in secret things. 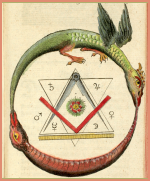 Thus in the chart on the frontispiece there are three planets in the trinity of wealth and four planets in the trinity of life, indicating that life and wealth are predominating factors in the previously determined personal interests. The Fifth Step in Judging Any Horoscope should be to note the nature of the planetary energy transmitted through each house without regard to aspects. For fine craftsmanship, because each planet exerts a different tone quality in each sign, the sign occupied by the planet must be also included in this consideration. It is of course possible to describe the influence of each of the ten planets in each of the twelve signs. Books may be had that go into such detail. They have their value, but it is more satisfying and practical to estimate such details of influence from a knowledge of the nature of the sign and a knowledge of the nature of the planet together with a knowledge of the Essential Dignities of the planet. Signs are treated in Chapter 2 (Serial Lesson 46), Course II, Astrological Signatures. Planets are discussed in Chapter 3 (Serial Lesson 47), Course II, Astrological Signatures and Essential Dignities are given consideration in Serial Lesson 87. It seems certain that a planet commonly exerts its most powerful energy through the house it actually is in. If it is a progressed planet it exerts its most powerful energy through the house into which it has progressed. This energy is most powerful near the cusp of the house it is in, gradually decreasing its influence on the department of life ruled by the house as the planet moves further into the house, being weakest just before it crosses over the next cusp in proper sequence. Where the cusps of the M. C. and Asc. are concerned—the one acting as a broadcasting antenna and the other as a ground wire—these function after the manner of planets. Consequently a planet well over into the ninth house exerts an influence on the M. C. if it is within orb of a conjunction aspect with it, and a planet well above the Asc. 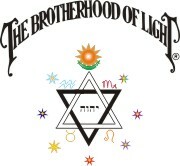 in the 12th house will have an influence on the Asc. if it is within orb of a conjunction aspect with the Asc. The orb of the M. C. and the Asc. is the same allowed a planet in an angle. Probably due to lack of precision in timing births and thus locating improper degrees on the various house cusps, with the observed affect of planets as many as 10° from the M. C. into the ninth house and as many as 15° from the Asc. in the twelfth house, an opinion has gained some ground that when a planet is within 5° of a house cusp it not only exerts an influence over the things ruled by the house it is in, but begins to have some influence over the things ruled by the other house. Yet as the result of many thousands of charts in which not only the birth-chart influence, but also the influence of the progressed positions of the planets have been studied by The Brotherhood of Light Astrological Research Department, including a vast number in which the effect of a progressed planet moving through one house and over the house cusp into another house has been observed, we have been forced to the conviction that one house is divided from another by an abrupt partition. Where there is but one planet in a house, it is usually the chief ruler of that house. The planet ruling the sign on the cusp of the house, because the sign sympathetically transmits some of the energy of the planet ruling it no matter where this planet is located, is a secondary ruler of the house, or co-ruler. Where there are several planets in a house, because the wave of influence increases in power over the things ruled by the house as the cusp is approached, the planet nearest the cusp of that house is commonly considered the chief ruler, and the other planets in the house as secondary ruler, or co-rulers. Of these co-rulers, those closer to the house cusp have a stronger influence over the things of the house than those farther from the house cusp. Yet any of these planets in a house have a stronger influence over the things ruled by the house than does the planet that is co-ruler merely because it is ruler of the sign on the cusp of the house. For precision, the amount of power a planet has over a house depends upon the number of astrodynes which could effect the house. When a planet is not in a house, but rules the cusp sign, it has to have twice as many astrodynes as a planet which actually occupies the house to have the same influence. If the cusp ruler has more than twice as many astrodynes as the planet in the house, it is then considered the chief ruler of the house. Sun: Whatever house is occupied by the Sun is strongly vitalized, and becomes an important house as influencing motives. The Sun represents the individuality and the center of vital force. Therefore, the house it occupies indicates the department of life in which, to a great extent, the individuality is submerged. From this standpoint it becomes a dominant motive in the chart. Thus in the chart on the frontispiece as the Sun is in the 2nd it is indicated that money considerations are an important motive. The department of life ruled by the house occupied by the Sun is conducted with Vigor. Moon: Whatever house is occupied by the Moon is thereby made receptive and changeable. The things so denoted are in process of gestation, and are subject to constant small variations. Thus in the chart on the frontispiece the Moon is in the 12th. This indicates many little disappointments and a never ending variety of psychic impressions. The department of life ruled by the house occupied by the Moon is subject to Fluctuation. Mercury: Whatever house is occupied by Mercury becomes the subject of mental effort. The mind expresses itself readily where the things so denoted are concerned. Thus in the chart on the frontispiece Mercury is in the 1st, indicating much thought about personal matters, and facility in expressing personal opinions. The department of life ruled by the house occupied by Mercury is subject to Thought. Venus: Whatever house is occupied by Venus has a strong influence upon the affections, and through it an appeal to the affections can readily be made. The things denoted by this house tend to prosper not through effort and initiative, but through kindnesses received because of grace of manners and received through following the line of least resistance. Thus in the chart on the frontispiece Venus is in the 1st. This gives a spontaneous and charming personality. The department of life ruled by the house occupied by Venus is subject to Gratuities. Mars: Whatever house is occupied by Mars indicates a section of the life in which forcefulness and energy are expressed. Whatever it indicates in the way of advantage is gained through initiative and combat; and if loss is indicated, there is much struggle associated with it. There is always strenuous activity in connection with the things ruled by the house occupied by Mars. Thus in the chart on the frontispiece, as Mars occupies the 8th, there is signified a struggle over the partner’s money. The department of life ruled by the house occupied by Mars is subject to Strife. Jupiter: Whatever house is occupied by Jupiter indicates a section of the life in which there is plenty. Jupiter withholds not the things denoted by the house he occupies. When severely afflicted by aspects much difficulty may arise over the things denoted by this house, but in some manner a way will be found to pull through with head above water, even though in extreme cases failure may be escaped only by a hair’s breadth. Thus in the chart on the frontispiece Jupiter is in the 6th, indicating both the ability to recover from illness and to profit from work and employees. The department of life ruled by the house occupied by Jupiter is subject to Abundance. Saturn: Whatever house is occupied by Saturn indicates a section of the life in which there is dearth and laborious effort. The advantages that Saturn brings, even when he is well aspected, are well earned. Saturn withholds the things signified by the house he is in or makes them difficult to obtain. They are obtained at a sacrifice of something else worthwhile. Thus in the chart on the frontispiece Saturn in the 7th indicates dearth where partners are concerned. This means that whatever advantages are gained from partners are more than paid for in added work and responsibility. The department of life ruled by the house occupied by Saturn is subject to Poverty. Uranus: Whatever house is occupied by Uranus denotes things about which radical tendencies are likely to manifest. In the section of life indicated by such a house there are sudden changes and developments of an extreme nature, either constructive or destructive. Yet whatever good is signified in one direction is accompanied by some lesser disadvantage in another field, and whatever evil is signified in one direction is accompanied by at least a small measure of good in some other relation of life. As Uranus is in the 1st of the chart on the frontispiece some eccentric turn to the personality is indicated. The department of life ruled by the house occupied by Uranus is subject to Eccentricity. Neptune: Whatever house is occupied by Neptune is influenced by subtle and visionary factors. There is something elusive and mystical about the section of life denoted by this house. About the things so denoted the imagination weaves pictures, and these mental pictures influence the attitude toward reality. Thus in the chart on the frontispiece Neptune is in the 6th, indicating a tendency to picture an illness that in actuality does not exist. The department of life ruled by the house occupied by Neptune is subject to Illusion. Pluto: Whatever house is occupied by Pluto is subject to inner-plane influence, either for good or ill. In its activities will be found facilities for cooperation with others and for contacting groups of people. To the extent Pluto is afflicted will undue pressure be brought to bear by others to compel such action as they desire relative to the things the house rules. Thus as in the chart on the frontispiece Pluto is in he 5th, compulsion will play its part where speculation, children, love affairs and pleasures are concerned. The department of life ruled by the house occupied by Pluto is subject to Coercion. The Sixth Step in Judging Any Horoscope should be to note the house actually occupied by the planet ruling the sign on the cusp of each of the twelve houses. Not only is there an intimate connection between the house upon the cusp of which a given sign is found and the house occupied by the planet ruling that sign, but the things of the house occupied by the planet have a certain power over the things merely ruled by the planet’s sign. In a human controversy that results in violence, if the violence takes place in the home of one of the individuals, this individual has a certain legal advantage. Thus also a planet away from its home sign places the things it rules by sign under the influence of the things represented by the house it actually is in. In relation to the things represented by the sign on a house cusp ruled by a planet, the things ruled by the house a planet actually occupies exercise an influence of Authority. Sometimes it is found that there is an intercepted sign in a house. It should always be considered as co-ruler of the house together with the sign on the cusp of the house. The qualities expressed by the sign on the cusp of the house, however, manifest more freely than those denoted by the intercepted sign. The qualities of the intercepted sign are present, but they require stress of circumstances to bring them into expression. Therefore, in judging a house, both the planets in an intercepted sign and the planet ruling this sign should be considered, as well as the sign on the cusp and its planets and ruler. Intercepted signs represent qualities that are Latent. Now as the first house denotes the personality, the house in which the planet ruling the sign on the Ascendant is found indicates a department of life having much interest for, and influence over, the person. Thus if the ruler of the 1st is in the 2nd, it indicates that he has an interest in money, and that money is an important influence over his life. If the ruler of the 1st is in the 3rd, it indicates that he is interested in his brethren and in education, or reading, and that these things influence his life. If the ruler of the 1st is in the 7th, he will find himself in partnership, and influenced in his actions by such partners. If however, the ruler of the 2nd is in the 1st, it indicates that money matters are largely dependent upon his own personal efforts. If the ruler of the 2nd is in the 2nd there is natural aptitude in money matters. If the ruler of the 2nd is in the 3rd the finances are greatly influenced by kindred, short journeys, and education. When a planet is in the house it rules by sign it gives much independence to the thing ruled by that house. When a planet is in the 1st house, the things signified by the house which the planet rules by sign are largely subservient to personal inclination. When a planet is in the 2nd house they are somewhat controlled by money matters. When a planet is in the 3rd house they are somewhat subservient to kindred and education. When a planet is in the 4th house they are influenced by the home environment. When a planet is in the 5th house they are subject to children, pleasures and speculation. When a planet is in the 6th house they are under the influence of work, employees and illness. When a planet is in the 7th house they are somewhat controlled by partners and the public. When a planet is in the 8th house they are subservient to legacies and the partner’s money. When a planet is in the 9th house they are influenced largely by philosophy and publicly expressed opinion. When a planet is in the 10th house they are directed by business relations and considerations affecting the reputation. When a planet is in the 11th house they are subservient to friends. When a planet is in the 12th house they are influenced by secret sorrows and psychic influences. The Seventh Step in Judging Any Horoscope is to note the prominence of each planet and the number and nature of the aspects received by it. Each aspect indicates streams of energy—meeting at an angle that produces a definite whirl, constructive or destructive. It indicates a definite association between the departments of life ruled by the planets forming the aspect. If a planet has few aspects, it may exert a very strong influence along one particular channel, but its range of influence is limited. If a planet has many aspects it indicates a large variety of influences centering about the departments of life ruled by that planet. The more aspects a planet has, the greater the number of influences brought to bear from other departments of life upon the department of life ruled by the planet. The Strength of each department to Influence the things denoted by the planet receiving the aspect depends upon the Strength of the aspect and the planet forming it. But the Nature of the influence depends upon the Nature of the aspect and the planet making it. Thus if the Sun receives many aspects it signifies that many things in life have an influence over the vitality and upon the things ruled by the house the Sun is in. If the Moon receives many aspects it indicates mental capacity along many lines, and many conditions affecting the constitution, as well as numerous conditions affecting the houses ruled by the Moon. If Mercury receives many aspects it indicates a wide range of mental activity, and the ability to express thought along many lines, as well as many influences brought to bear upon the things signified by the houses ruled by Mercury. Many aspects to Venus indicate many things influencing the affections; many aspects to Mars, many things stimulating the energies; many aspects to Jupiter, many things influencing expansion and growth; many aspects to Saturn, many things influencing contraction and responsibilities; many aspects to Uranus, many things tending to radical changes of view; many aspects to Neptune, many things affecting the ideals and the imagination; many aspects to Pluto, many things influencing toward or away from spirituality and many things influencing group activities and cooperation. And in each of these instances the things signified in the chart by the houses the planet rules are affected. A planet is prominent in proportion to the volume of its particular type of energy which the individual or condition mapped by the chart is able to express. By its prominence in a natal chart a planet indicates the amount of activity the thought cells of the unconscious mind having an energy characteristic of the planet can express. This shows not only the power of the dynamic thought structure mapped by the planet to attract conditions of this type into the life, but also the power of the common thought cells mapped by the houses whose cusps are ruled by the planet to attract corresponding conditions into the life. This is important in vocational selection, for instance, as many vocations require association with the department of life ruled by one or more houses. Thus a doctor or nurse must have an active sixth house, and a bookkeeper or stenographer must have an active third house. The natural aptitude for a vocation, other than this house activity, depends on the volume of energy the unconscious mind can command of the types signified by specific planets. An individual can use only so much Mars or Saturn or other types of energy as he possesses, and the prominence of the planets indicates how much energy of each planetary type he can command. If he is to build or destroy he must use the type of energy mapped by Mars; if he is to organize or systematize he must use the type of energy mapped by Saturn; if he is to express geniality and good will and engender similar attitudes in others, he must use the type of energy mapped by Jupiter. Also, to the extent a planet is prominent will events, including associations and diseases, characteristic of that planet be attracted into the life by the activity of the thought cells of the unconscious mind thus mapped. Every aspect a planet receives indicates additional energy which the thought cells mapped by it are able to express. Other things being equal, however, a planet in an angle indicates more energy than one not in an angle, and the nearer the cusp of the angle it is the more energy is indicated. Furthermore, as the thought cells mapped by the Sun, Moon and Mercury directly contact the electromagnetic energies of the body, a planet in aspect to them maps thought cells able to express much energy. While other aspects to it may be numerous enough and powerful enough to make a planet prominent, as a general rule followed in statistically determining the Birth-Chart Constants of vocations, diseases, and the predisposition to definite events, only planets in an angle or aspecting with a reasonable degree of closeness, the Sun, Moon or Mercury are considered Prominent. However, for precision, the only sure method of determining the Prominence of a planet in relation to a particular chart is to calculate its astrodynes. 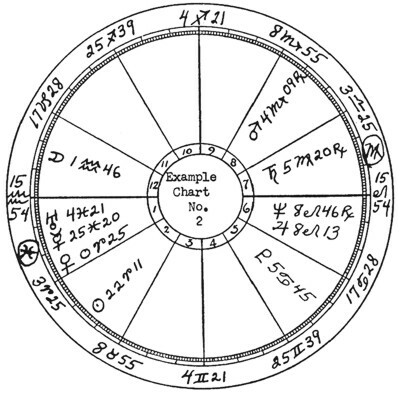 Because in natal astrology the Best House in the chart indicates the department of life from which a given expenditure of effort brings the greatest advantages, and because in other branches of astrology it indicates the department from which most favors may be expected, it should always be ascertained. And as the Best Planet indicates the environmental associations that are most fortunate, it also should be noted. It is particularly significant in vocational selection, and in the selection of surroundings favorable to health. The nature of the planets, the signs they occupy, the volume of their energy, and the aspects they make all enter into this consideration. Commonly, Venus and Jupiter in a house are taken for the best influence. Venus adds ¼ harmony and Jupiter adds ½ harmony. But in the last analysis, a precise point can be ascertained by calculating the harmodynes and discordynes. The House and the Planet carrying the most harmodynes will be considered the most fortunate in the chart. Because in natal astrology the Worst House indicates the department of life that causes the most difficulty, and in other branches of astrology it indicates trouble, it also should be ascertained. And as the Worst Planet indicates the environmental associations that are most unfortunate, it is important to note it, so that these things may be avoided. Here, also, the nature of the planets, the signs they occupy, the volume of their energy, and the aspects they make must all be considered. Ordinarily, both Mars and Saturn are taken as the worst influences because Mars adds ¼ discord and Saturn adds ½ discord. But in the last analysis, the Worst House and the Worst Planet are those that carry the most discordynes. How to calculate the astrodynes, discordynes and harmodynes of an aspect, planet, house or sign is explained in Course XVI, Stellar Healing. September 1, 1939, 5:45 a.m.
German airplanes started dropping bombs and German warships started firing, commencing World War II. This chart must be read as the birth of a German enterprise. 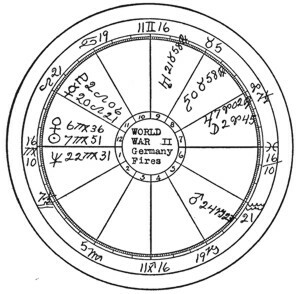 It thus represents how Germany will be affected by the war, and not how Danzig and Poland are af fected, except as this can be inferred from the fortunes and misfortunes of Germany. It cannot be read as a contest the nature and time of which was arranged by mutual consent. L.M.T. : 02h 48m 16s A.M. E.G.M.T. :	10h 00m 00s A.M. E.G.M.T. :	Interval, minus 2h 00m 00s.